Subject: , do you promise me!? I want you to believe in my serious intentions. me. And I really need your help with the visa. friends to know that I sent you naked photos. I ' m very embarrassed. 1 - Only you can see my naked photos. Only you! you I will get a visa and come to you! in an Internet cafe. And I' m afraid that someone will see it. already written to you, it can be seen on the Internet cafe. at me. The main thing is that you can see my naked body. And you can appreciate it. I think you can still enjoy my naked body when I come to you. Here in this letter is my last proof of my attitude to you! You know my situation. And you know that I can get help only from you. Please, don' t use me! Help me, please!!! This is my last chance. beautiful naked photo for you!!! Don ' t ask for new one!!! 1) I already sent you copy of my passport. 2) I sent you a letter with your name. 3) I sent you very candid photos of my body. And you every time look for new reasons not to help me. Now I will know for sure, do you want me or not?! have a relationship with me! Then you just play with me! And you were not serious from the beginning. 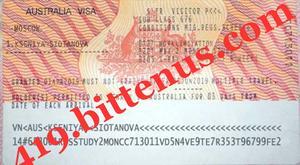 I already wrote to you that I must pay my visa very urgently. URGENTLY! And I need 20000 rubles for all documents. this is the cost of a visa, insurance, medical card and many other documents. I also wrote to you so that you wouldn' t worry about ticket. I can get it. I wrote to you about it. Reread this carefully! Understand the main thing! I' m not asking you to give me $300. I ask you to borrow money. I will not be your dependent when I arrive. I will study and work. I will refund your money to you. And I will be grateful to you for the rest of my life for your help! Also I will do everything for you, everything you want, when I arrive. send me money. I want to ask you when you can send me money? I talked to people who give visas. And they agreed to wait. It took me much forces to make them agree. for visa more time. They have agreed to wait payment till March , 16th. It has taken a lot of difficulties to wait money such time. during this time? Can you borrow some if you don' t have any? you will have time to send money till March , 16th. much. And the most important for me was the meeting with you. about you. I feel miserable. But I can't change anything here. visa. Perhaps, you are indifferent to this. I was sure in you and really hoped you would help me. me? You know that I can do it only till March, 16th. you to make you do it. Just tell me yes or no. visa. And I will have it for sure. .
near me. Feel you breathing close to me. afraid that people around me would not understand me. They are looking at me already with a great interest. And what are your dreams my dear? And am I involved into them? Hope you think of me the same way I think of you. And tell me - yes or no. Will you send me money? I miss you a lot and need you so much.
! Forgive me that I don' t write to you for a long time. use the computer to write letters to you. I hope did you not forget me? Do you want to communicate with me and also want to see me? I ' m waiting your answer. Subject: , I have very good news!!! I have very good news!!! that you have met me. the interview. It means that very soon I will get my visa. just leave for you. How do you like it? I think it is just great. visa, I will be able to see you. What do you feel? I am just happy. I am flying. It is great. immediately let you know, Ok? I will do my best for a good result. advance if I get visa. Till soon. Why haven' t you answered me? I asked you to write me the airport that is close to you. tell me the name of the airport. I am going to study in. I wanted to choose it together with you. to live in a campus. And we would be able to meet daily. I have to know the airport and hope you will meet me. to hear me, please, tell me the truth. Just don' t keep silence. the city is so noisy. I don't really feel comfortable here. But well, I came here on purpose. So it is Ok. I have very good news for you. I've got my visa at last. And the price is rather reasonable. It will cost $976. you if you can help me with this. Will you be able to send me $376? I told you that I sold my fur coat to pay for visa and ticket. But the money was not enough. I sold my fur tree for $900. me and send me $376. As soon as I buy the ticket I will immediately leave for you. And in some days I will be in your arms already. Think on this. money back as soon as I will be able to work in your country. last. I am sure you want it the same way I do. My sweetheart, I need you and I hope you too need me. And I miss you badly. had all the money for the trip. But please, understand my problem. ticket. I don't know where to take the money. I hope only for you. Nobody can help me here. I don't know anybody here in Moscow. I don't have enough money for the ticket? limited. Please, understand my worries and help me. for my ticket to be reserved. time then I could stay here for more time and try to save money. I want to use you just to move to your country. I hope that you will understand me and will send me the money. dollars. I don't think it is much for the opportunity to be happy. this so we could meet with you. . I tried to prove you that I am real several times already. I have sent you a list of paper with my your and my names. copy of my passport. Why don't you still believe me? I am going to try and prove again that I am real. not real I would not be able to get the money! And I really want to come to you. Please, believe me and send me the money. . I hope that you want to see me and will send me the money. I made a copy of visa by scanner. But I can' t send my pictures now as I am in Moscow now. I have no here a camera. will be able to see me in real life but not at the pictures. My plan? I should arrive and enter the university till June, 1st. understands my plan? In the first days I can live in campus. in campus and meet you in your free time. it to my ticket. I found that there are several close MoneyGram here. Union without any problems. I am waiting for your answer. my full name: Kseniya Siotanova. I am so tired to be in Moscow. Everything is very expensive here. I am ready to overcome all the difficulties. But I need your help. to me and I can't stay there any more. People are so cruel. I have spent so much forces and money already to get my visa. If I deceived you what for I would ask you to send money to Moscow? that I wish to deceive you. It not the truth! I never deceived you! Subject: , hopeless situation. . I don't know what to do. I am in a hopeless situation. my forces. It is very offensive. I have tears in my eyes. stay here. You should send me money now or I will leave home. you be able to send me money shortly? it the same way I do. just a small towel on me. I was a little bit embarrassed. stay if were going to stay on the island for a while. You agreed and we went to see the place. I would never see you again. think you told me was :"I love you, baby!" these words from you in real one day. So let me know what you think of this dream.